The 11th edition of the IPL got underway on 7th April and the tournament has witnessed entertaining cricket with some well contested matches and close finishes. Out of the previous 10 editions, Mumbai Indians are the team that has won the most titles (3), followed by the Chennai Super Kings and the Kolkata Knight Riders who have won 2 each. In all there have been 6 teams who have won the title across the 10 years. 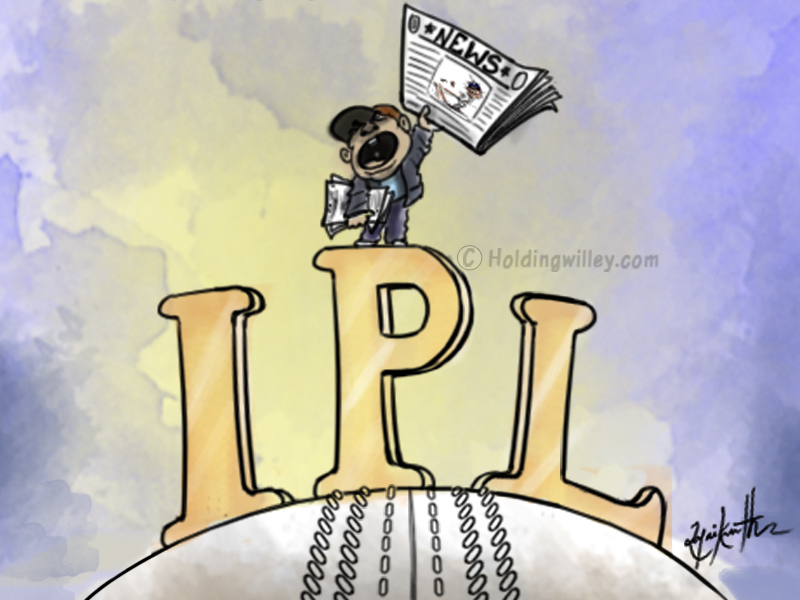 However, there are 3 teams that have been part of the IPL across 10 years and have never lifted the Trophy: the Delhi Daredevils, Kings XI Punjab and the Royal Challengers Bangalore. Many reckon that this year’s tournament could be the most open yet, which could give these 3 teams their best chance of breaking their title drought. Let’s do a SWOT analysis for each of the 3 teams and see which one has the best chance to win their maiden title. RCB has always been a team that has a great batting line-up, particularly the top order. In this edition, even though they do not have the greatest T20 batsman of all-time, Chris Gayle, they have an embarrassment of riches at the top with Brendon McCullum and Quinton De Kock opening the batting followed by Virat Kohli and AB De Villiers. There is a lot of depth in their top order. Virat Kohli said that what makes this RCB team stand out from the ones of previous seasons is the riches they have in their bowling department. In Yuzvendra Chahal and Washington Sundar they have two great T20 spinners who are very versatile and capable of bowling in the Powerplay as well as the death. As we saw in RCB’s opening match against KKR, they are heavily dependent on AB and Kohli. When both fell in quick succession there wasn’t enough depth in their middle to lower order to capitalize on the good start. They do not have much quality in their local pace bowling stocks apart from Umesh Yadav. As Simon Doull pointed out, it is the caliber of the Indian bowlers that will win a team this IPL. Currently, Kuldeep Yadav and Yuzvendra Chahal are the 2 frontline spinners in the Indian team in the shorter formats. However, if Washington Sundar has a good show in the IPL he can push both of them for a spot in the Indian T20I team and possibly even in the ODI team. They also have Murugan Ashwin, who impressed for RPSG. Umesh Yadav has lately been consigned to the bench in the Indian Test team, but started off well against KKR. He knows a good show from him could get him back into the reckoning in the playing XI for India in Tests. On a day when everything clicks, RCB can be almost unbeatable with their batting firepower at the top and such versatility in the spin department. They can pretty much bat other teams out of the contest if they bat first but they need to guard against the tendency of going off the boil at certain stages as they have done in past editions. Like RCB, they have an extremely powerful top order with Colin Munro in the form of his life in New Zealand’s home season. Gautam Gambhir has a wealth of experience and is considered to be a very astute captain in T20 cricket. After the openers they have a strong Indian presence in the batting order with Shreyas Iyer, Vijay Shankar and Rishabh Pant. Glenn Maxwell also adds firepower to their line-up. With Kagiso Rabada injured, they look a little light in the pace bowling department with only Mohammed Shami, Trent Boult and Chris Morris looking up to international standard. They could give Liam Plunkett a game, but they would have to drop an overseas player, either Boult or Morris, something that appears unlikely at this stage. They appear very weak in the spin department with Amit Mishra way past his best and Jayant Yadav off the radar at the moment. Iyer, Shankar and Pant are all in the fray for a spot in the middle order in India’s squad for the 2019 World Cup. They have all shown brief glimpses of their potential so far but none of them have nailed down their spot in the Indian limited overs team. Pant looks the most unlikely to make it to India’s 2019 squad as Dhoni is all but certain to play, but Pant is definitely in the running and is probably vying with Dinesh Karthik for a spot. As Pant showed in the match against KXIP, he has all the shots in the book and can take the game away from the opposition in the matter of a few overs. There will be some intense internal competition in the DD line-up for a spot in India’s limited over teams. Jason Roy is a class player and if Munro doesn’t get off to a flying start, Roy can provide much needed impetus at the start. They also have the young leggie from Nepal in Sandeep Lamichhane who is an unknown commodity and whose variations could be difficult to pick. DD have the talent and players, but they need them to fire on all cylinders while being managed astutely if they want to win the tournament. They have probably their best ever squad with a dazzling array of options. KL Rahul scored the fastest IPL fifty off just 14 balls against DD. Aaron Finch was unavailable for the match because of his wedding, and someone of the caliber of Chris Gayle couldn’t even find a place in the playing XI. They have a lot of competent Indian batsmen: Karun Nair, Yuvraj Singh and Mayank Agarwal. David Miller and Marcus Stonis provide the finishing kick to the innings and Ravichandran Ashwin and Axar Patel provide class in the spin department. The new find Mujeeb Ur Rahman acquitted himself creditably on debut and they will be full of optimism looking ahead. They have a problem of plenty in the selection of their team. At the risk of sounding repetitive, Mohit Sharma is the only Indian pace bowler of class in the team. While such a weakness can be masked when everything else is going their way, it could be their Achilles heel when they play on good batting wickets with a bit of pace and bounce. It remains to be seen if they have the confidence to play either Ankit Rajpoot or Barinder Sran. Even though most critics feel that Yuvraj Singh is past his best, a good outing in this year’s IPL could bring him back into the reckoning for India’s ODI team. Mohit Sharma played a good role for India in the 2015 World Cup but injury has meant that he has been unable to make a comeback. Mayank Agarwal had a great domestic season but wasn’t selected for the Nidahas Trophy in Sri Lanka. A good showing from him will make it extremely difficult for the selectors to ignore him in future. The mind boggles at what carnage could occur if KL Rahul and Aaron Finch get going in tandem as they can bat the opposition out of the contest. Even if the openers fail, they have the personnel to keep attacking with their predominantly Indian middle order and guys like Stonis and Miller to follow. Their spin department is also top class and most teams will be wary of producing rank turners against them. This is the best chance that all these 3 teams have to win their first ever IPL title but KXIP look to have the best resources to lift the trophy.